Although I have eaten a lot of delicious foods that make me *very* happy, there are flavor and texture profiles that I consider 'stand outs' in my head. These are amazing bursts of flavor and texture that make me absolutely speechless, ecstatic, and hungry for more... lots more! 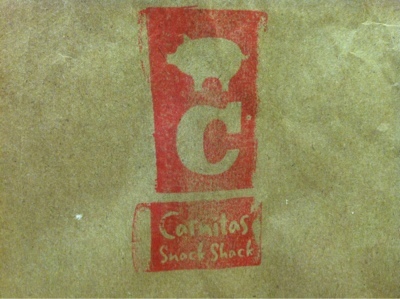 #4 (my favorite number): the pork belly app from Carnitas' Snack Shack in North Park. The crazy thing is that I haven't even been to the actual Snack Shack yet. What?? Yup. The pork belly was a treat from my favorite foodie friend, Crystal, who had lunch with a friend and decided to surprise me with the beautiful braised meat, because she knows me SO well. 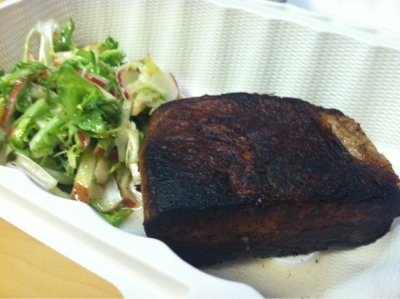 The pork belly doesn't look like much from the picture above - it actually looks like a piece of a well done dry steak. But oh my goodness, that is not the case. 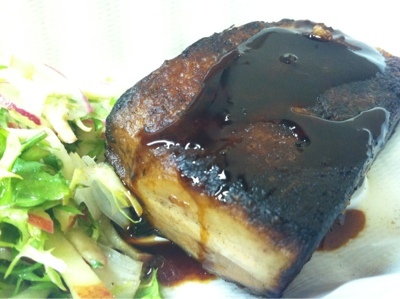 The braised pork belly is served with a a sweet and spicy glaze, and a small side of a crunchy frisee salad with apples and radishes, all tossed with a lemon vinaigrette. The first bite was crisp, soft, salty, sweet, and sinful. Hello, pork goodness. I was floored. For the second bite, I ate it with the frisee, which is a type of endive (and bitter in my opinion), but the sweetness and crunch from the apples and the acidity from the vinaigrette balanced out the flavor. Well done, Chef. Absolutely amazing. The funny thing is that I just had a barbacoa salad from Chipotle just 15 minutes before Crystal surprised me with the greatest thing ever. I could have, but didn't, eat all of it. That's how delicious it was. 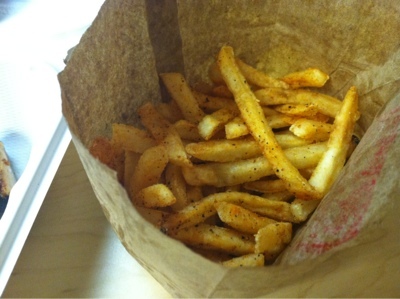 She also surprised me with the Shack's seasoned bag of fries and their homemade ketchup. Spicy and so, so good too. 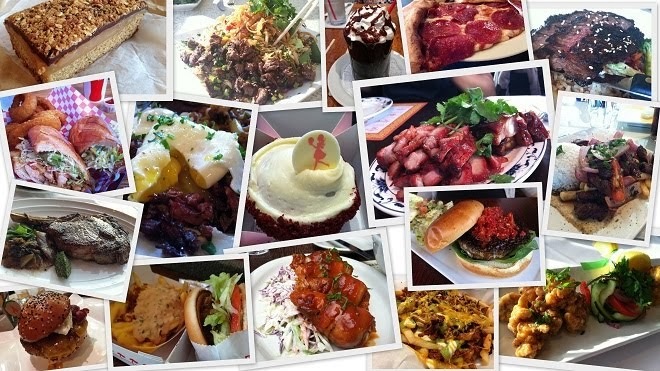 I am geared up to visit Carnitas' Snack Shack to try their pork sandwich, steak sandwich, and of course, to experience 'favorite flavor burst number 4' once again, the pork belly app. 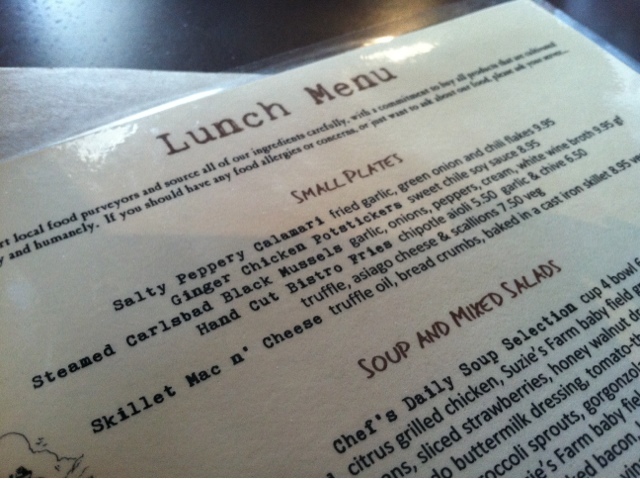 Since their menu changes depending what is fresh... I am looking forward to visiting multiple times. I CRAVE the food here. 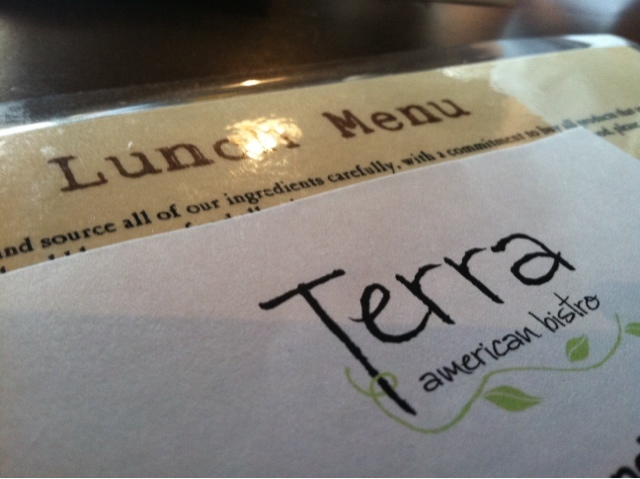 Terra American Bistro, what have you done to me? 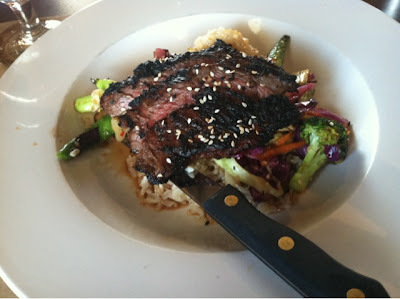 My mouth seriously waters when I think of the truffle fries and the deliciously charred skirt steak I had for lunch the most recent time I visited. And, I want to go back. NOW. We started off with the hand cut bistro fries, with truffle, asiago cheese, and chives. The fries are served with their amazing chipotle aioli on the side. I couldn't stop eating these. They were so delicious and the presentation of the fries was impressive. 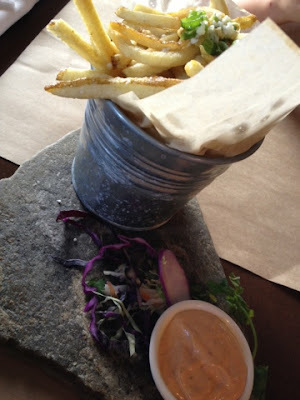 From the galvanized bucket and flat stone rock as a dish, I loved every detail. The BOWLS... we all got the lunch bowls, the bowls that I CRAVE! 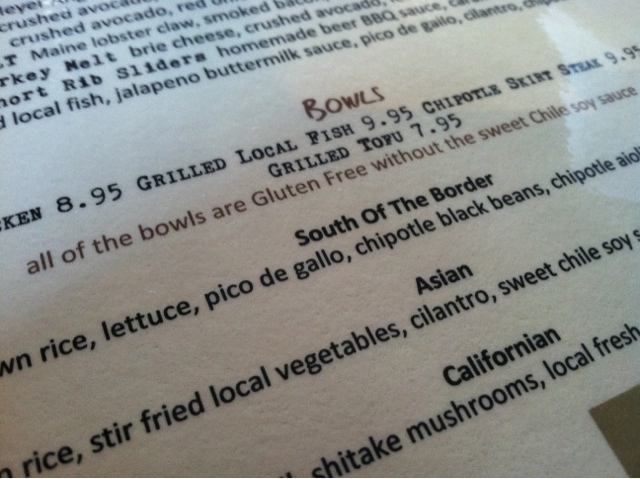 Here's how it works, you pick your protein (grilled chicken, grilled local fish, chipotle skirt steak, or tofu), then you pick your "flavor" for the bowl: South of the Border, Asian, and Californian. 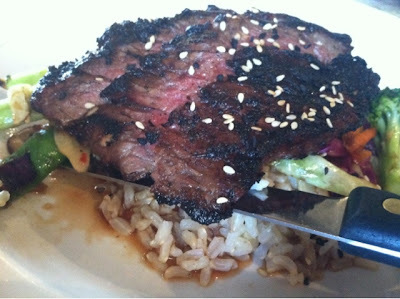 I love my red meat, so I selected the grilled skirt steak with the Asian flavor. The bowl consists of fluffy brown rice, stir fried local veggies, cilantro, sweet chile soy sauce, and wasabi aioli (which I omitted). Oh, the flavors were wonderful. The char of the steak and the tenderness of the meat was amazing. The vegetables were crisp and fresh. The stir frying time was perfect, in that they did not overcook and kept the integrity of the veggies. 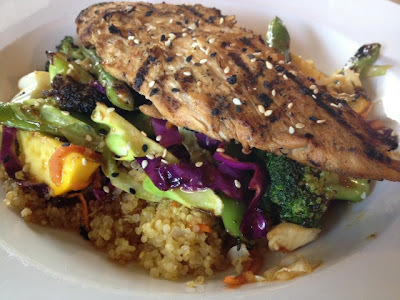 The vegetables in my bowl were broccoli, sugar snap peas, carrots, and purple cabbage. Absolutely delicious! The bowl was a perfect portion. I was not in a food coma, but I was full. 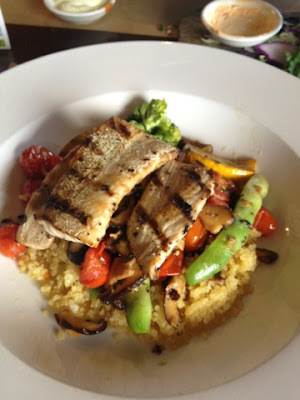 My friend, Crystal, ordered the grilled swordfish, California style, with cous cous, fresh local veggies, shiitake mushrooms, in a garlic sauce. T ordered the grilled chicken bowl, Asian style, with cous cous instead of brown rice. Our server actually told us that there were no substitutions but she surprised us with T's cous cous! That was a plus for customer service. I love Terra. They also have a rewards card program with points. I seriously believe that I will always crave the flavor of Terra's bowls. I must go. PRONTO! Other than La Fonda del Sol, Corbin's Bar and Grill in Phoenix, Arizona, is one of our family favorites for great, flavorful comfort food. 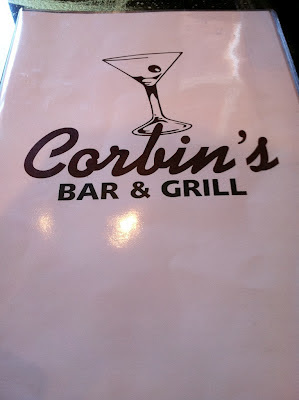 My husband's parents know the owner very well and it is always a joy to eat at Corbin's when we are visiting. It's a quaint place to dine and the food does not disappoint our palates! Our family met for Sunday brunch. The brunch menu consists of eggs benedict, variations of french toast, sweet and savory crepes, waffles, and frittatas. They had a brunch special that was not on their regular menu. Once our waitress said the magic words, I knew I had to, just HAD to, order it. 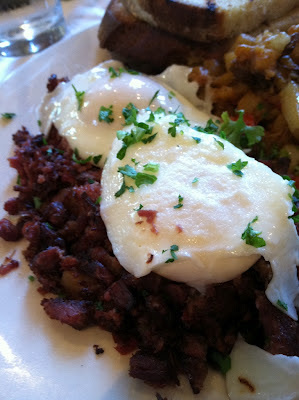 Homemade corned beef hash. I love corned beef. I have to admit... I know it's not the *same* thing, but I grew up on the canned corned beef. Cooked until lightly crispy with diced onions and potatoes and served with fried eggs and steamed rice... it was a great meal anytime of the day! 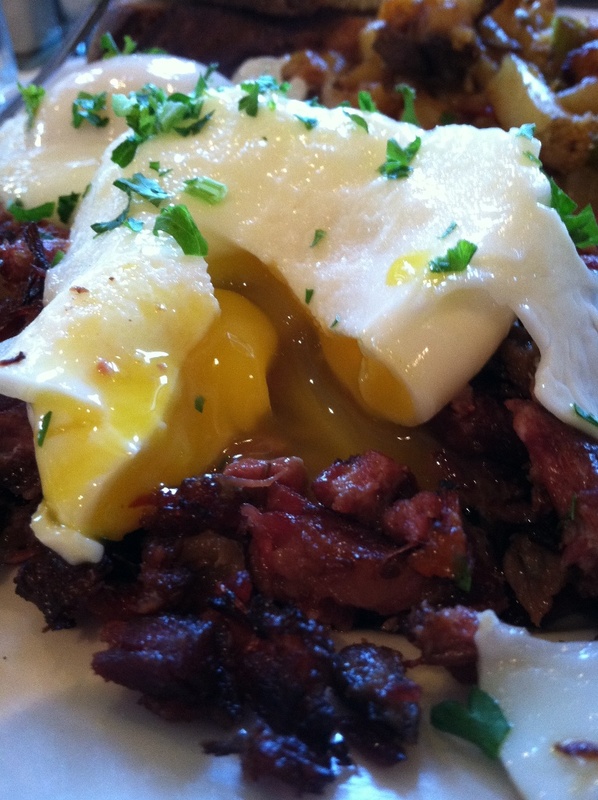 I enjoy eating salted, cured meats, especially corned beef and pastrami so I immediately ordered the special. 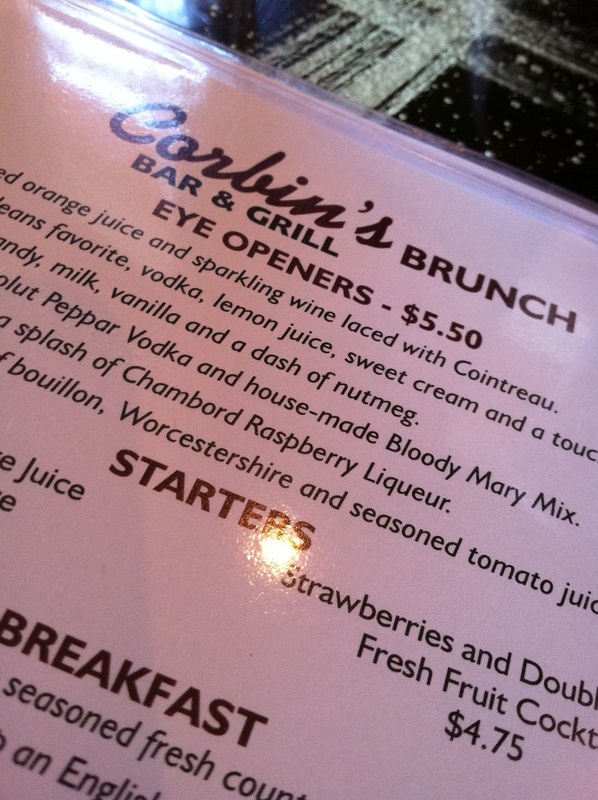 My mouth watered as I patiently waited to see how the Corbin's kitchen made the common brunch dish their very own. YUM. 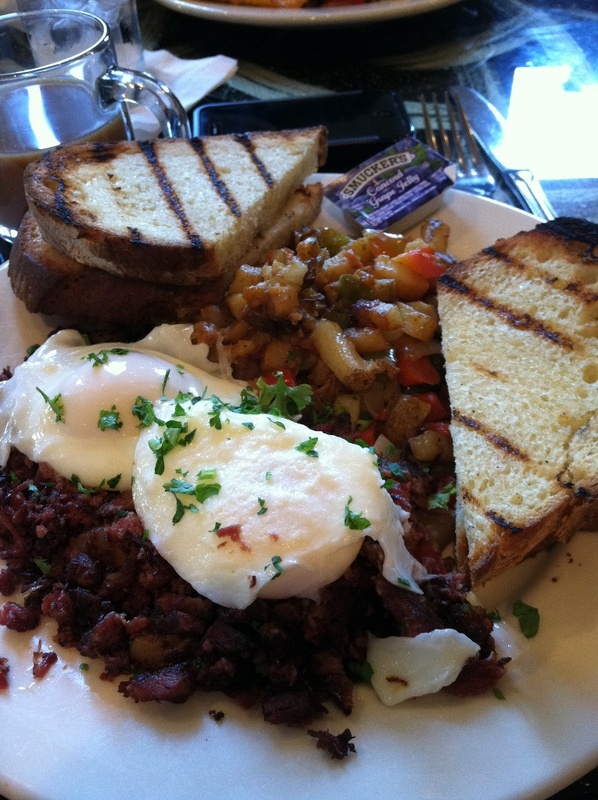 The corned beef brunch special were served with beautifully poached eggs, seasoned country potatoes, and toasted rustic Italian bread. 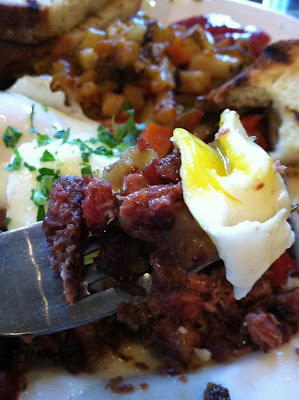 Ths corned beef was crispy, salty and very flavorful. The eggs were perfectly poached where the soft egg yolk oozed onto the corned beef. The country potatoes were soft, cooked through, and SO yummy. They had great flavor and texture from the red and green bell peppers. 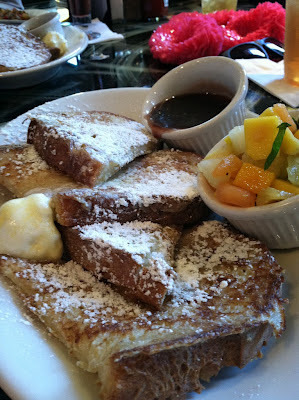 Another dish enjoyed at our table were the french toast made from rustic Italian bread served with fruit on the side. 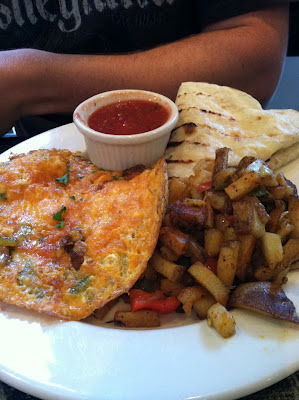 ...and the Via Mexico Frittata which contained spicy chorizo sausage, Anaheim green chiles and aged cheddar cheese. It was served with salsa, a buttered tortilla, and the yummy country potatoes. Visiting Corbin's is always a joy. I have also had their pulled pork, burgers, and their amazing spinach and artichoke dip. I am definitely looking forward to visiting again and trying a new dish.